Woodrow Wilson once said, “I not only use all the brains that I have, but all that I can borrow.” I can’t think of a better quote that explains the relevance of a Professional Learning Network (PLN). If you would have asked me 11 years ago when I entered the world of education what a PLN is, I would not have been able to give you even the foggiest of clues. My biggest worry 11 years ago was surviving my first year. It wasn’t until I started to take administrative classes that I grew a fond respect for networking. My PLN came to existence when I got to know the fellow students enrolled in the same educational leadership classes as me. We wrote curriculum together, solved problems, and bounced ideas off of one another. We were entering the profession together, and thus had a commonality that bonded us. Once initiated into administration my PLN began to grow rapidly. Administrators near and far were always willing to lend a helping hand or just a simple ear to listen. We have remarkable individuals in our schools doing remarkable things, and not one of them is afraid to share an idea or piece of advice. The past few days I was able to converse with many of these remarkable individuals. The North Dakota Association of School Administrators (NDASA) Mid-Winter Conference was held in Bismarck. The greatest thing about conferences is the opportunities to socialize with individuals. It is a great feeling to know that you are not alone. Somebody else has been where you are, and is always willing to help you through it. It’s even a greater feeling to know that as a group we are united in our ideology. We are united in our pursuit of excellence, and we are united when it comes to creating great schools. I’ve now attended many of these conferences and not a one has disappointed me. Engaging in Professional Development from listening to speakers, to conversing with administrators that attend has been nothing but valuable to me as a young leader. I know that trying to name all those that have helped me become who I am today would be impossible, but you all know who you are. Besides conferences; being active on social media has also expanded my PLN. Twitter has provided me opportunities to stretch my mind and build my capacities as a school leader. My PLN has been allowed to grow through the participation of weekly edchats. Local edchats such as #ndedchat has allowed me to collaborate and learn from educators around the state. I’ve also expanded to participate in edchats in many other states and countries. My PLN is made up of many people that I have never met in person, but yet have inspired me to be the best that I can be. 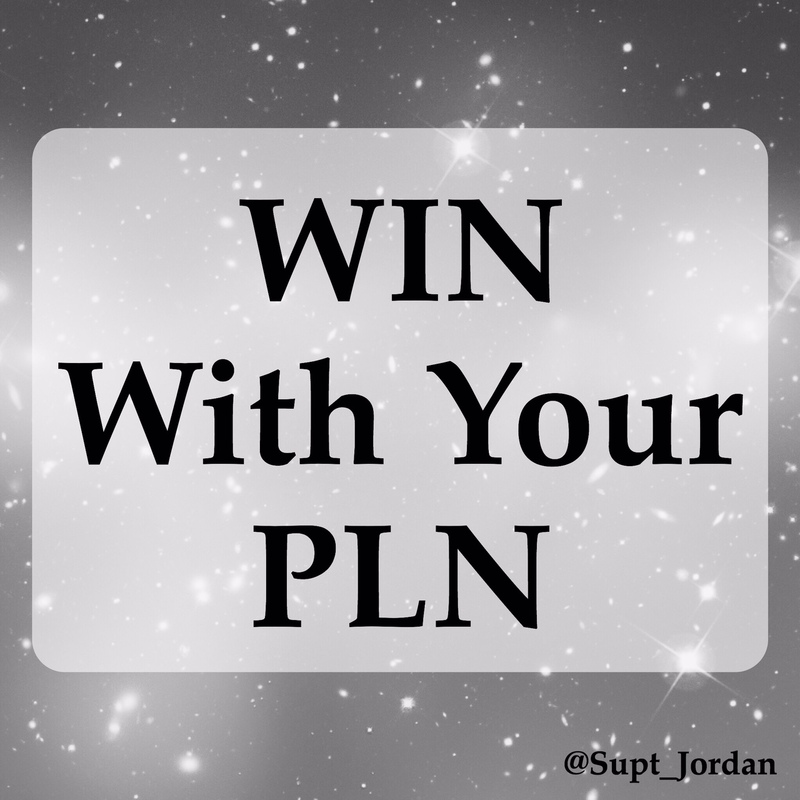 I can honestly say that I’m “winning” with my PLN. I have allowed myself to step outside my comfort zone. Eleven years ago I felt alone. I was just trying to get by. I did not allow myself to listen or to be heard. My successes today are a direct result of the relationships I formed with the many wonderful people I’ve met in education. I left the NDASA Conference today confident once again. I’m confident that North Dakota students are in great hands. I’m confident that our teachers are being put in positions to be successful. I’m confident that our students are embarking in curriculum that is relevant and engaging. I’m also confident in my ability to continue to lead my district. As we progress through the days – we will have hiccups, and we will have triumphs. Good, bad, or ugly my PLN will be there in a time of need. Thank you for being part of my PLN. Thank you for letting me borrow your brains.